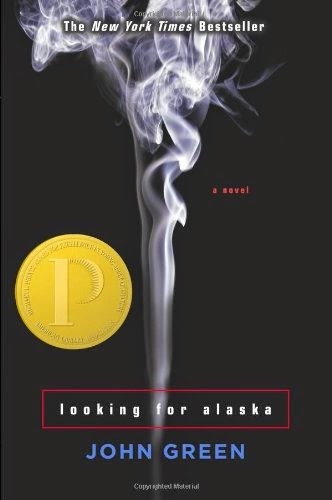 The recent hype over the cinematic adaptation of The Fault in Our Stars and its subsequent box office success piqued my interest in John Greene’s first novel, Looking for Alaska (2005). Readers who connected with the tragicomic tone of The Fault in Our Stars will find much to love in Alaska. The novel takes place at Culver Creek Preparatory High School, an exclusive school in the wilds of Alabama. High School junior Miles “Pudge” Halter decides to transfer to Culver Creek, his father’s alma mater, in the hopes of seeking “the great perhaps.” At the Creek he soon becomes with his roommate Chip, “The Colonel,” and his two friends Takumi and Alaska. On his first day that “The Creek,” Miles is immediately taken by the beautiful, temperamental Alaska. Alaska soon becomes the center of Miles’s world at The Creek: she prompts Miles to start smoking, tutors him in math, and introduces Miles to the prep school’s seedy underbelly. However, almost as soon as she enters Miles’s life, Alaska is gone, leaving all of her friends to pick up the pieces. Readers who are looking for a book that is as poignant as The Fault in Our Stars may be disappointed in Alaska because of the novel’s darker tone. However, comparison’s to The Fault in Our Stars discount Alaska’s gripping plot and conspiratorial first person narrative. Even those of us who had to slug it out at large urban high schools can find relatable elements in this story of love, loss, and friendship.